Beginning in 2017-2018, WSMA member schools may elect to become WSMA Accredited. This honor recognizes a school’s outstanding participation in WSMA programming and distinguishes the school’s music program. 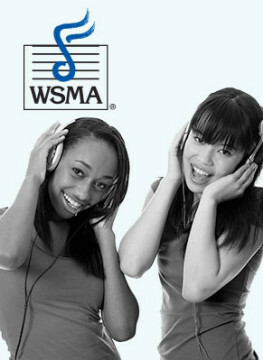 WSMA applauds efforts to provide valuable music education opportunities for students. The school must be a current member of WSMA. The school must participate in District Solo & Ensemble Festival. At least one of each type of performing group in the member school (band/choir/orchestra) must participate in a Concert Group Festival or Concert Group Clinic Experience every year. Why do I want my school to become WSMA Accredited? It provides public acknowledgement of your commitment to music education. It provides music educators, administrators, board members and advocates a tool to increase visibility and support for your music programs. It helps WSMA preserve and advance music education programs. Do I need to apply to become accredited? No. WSMA will automatically award accreditation to schools that meet the necessary criteria. All Concert Group Festival or Concert Group Clinic Experience registrations must be completed by June 30, 2019 to be eligible for accreditation in the 2018-2019 school year. Just remember to register everything with the correct account numbers. What are the changes from previous years? School Solo & Ensemble eligibility is no longer connected with Concert Group participation. Can I be a WSMA member school and not be accredited? Yes, of course. Accreditation is optional. 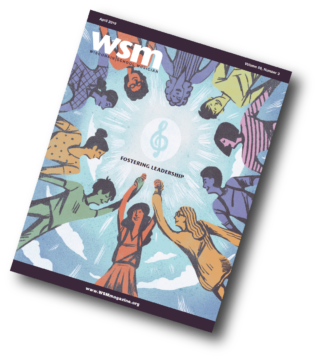 The teachers on the WSMA Festivals Committee felt strongly that an accreditation opportunity for schools would help teachers in those schools advance their music education advocacy efforts in their districts. The advantage of being accredited is that it promotes the importance a school places on music education. This is an especially important message you can share with school principals, superintendents and school board members.